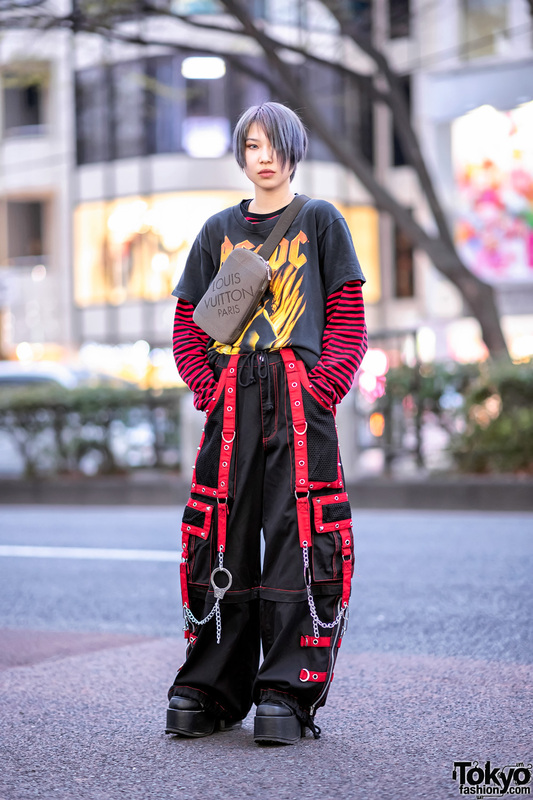 Mitsuho is a 19-year-old fashion student who we met in Harajuku. 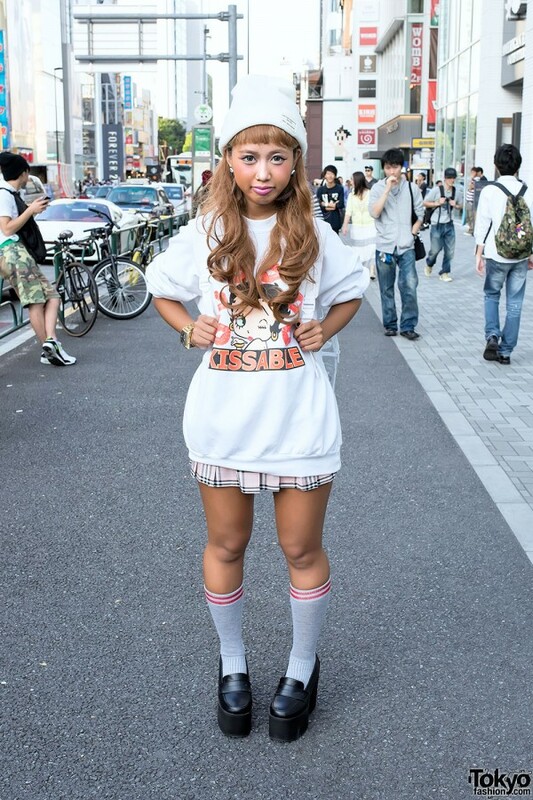 Her look features a Betty Boop “Kissable” sweatshirt from Burlesque Harajuku with a pink pleated plaid skirt from Bubbles Harajuku and WEGO platform loafers with striped socks. Accessories – some of which came from WEGO – include a white beanie, a retro wrist watch, a nose piercing, and a transparent WEGO backpack (with a Troll and Monchhichi visible inside). 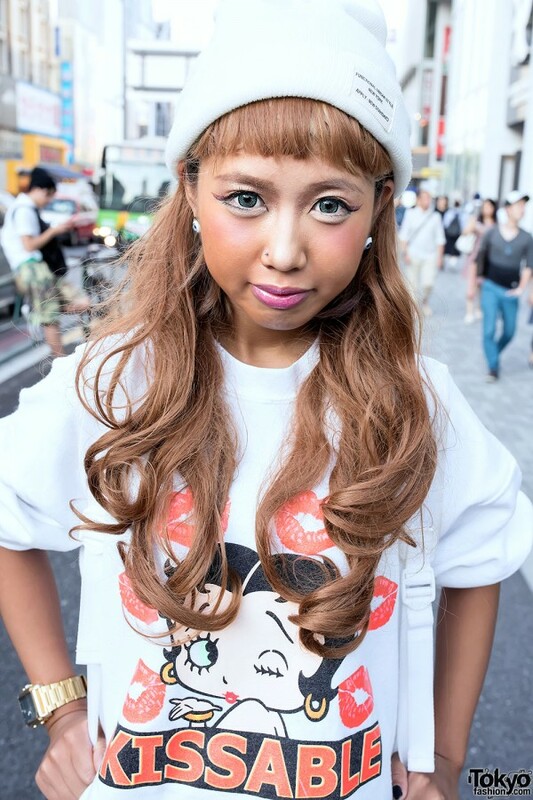 Mitsuho told us that Bubbles Harajuku is her favorite shop and that she’s active on Twitter. i love her tan and her matching hair color. so stylish… love it ?